www.showroom4cars.com is offering some huge savings on a 4x4 Toyotas. Amazon 4.7 petrol, reduced by an extra £1,000 to £34,999, saving £6,496 on UK list price. Amazon 4.2 Diesel, reduced to £36,999 now saving £5,476 on UK list price. 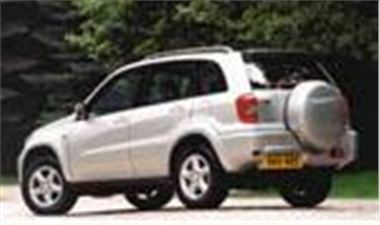 RAV4 D4D VX, reduced by an extra £500, to £17,999 now saving £2,971. Colorado D4D VX, reduced to £26,975, now saving £5,000. All vehicles are European supplied, and are IN STOCK NOW. remember, all www.showroom4cars.com prices are on the road, guaranteed in Sterling and free from currency fluctuations. All prices include delivery to the UK, 12 months vehicle excise duty and first registration fee. More information at www.showroom4cars.com or from the sales hotline on 0870 753 4444.